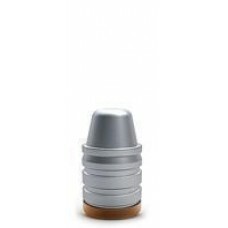 Made for heavy duty volume production, this Lee Precision Six Cavity Bullet Mold produces .429 diameter, 240 grain Semi Wad Cutter nose bullets suitable for .44 Special, 44/40 WCF (Winchester Center Fire), .44 Remington Magnum and similar cartridges. This mold, like all Lee Precision molds, is made from aluminum and so is completely rust resistant, lighter, and heats up and cools down faster than other brands made from iron or steel. Handles are not included, they are sold separately. WARNING: Melting lead and casting lead objects will expose you and others in the area to lead which is known to cause birth defects, other reproductive harm and cancer. See instructions on Reducing Exposure supplied with product. 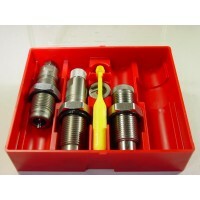 Made for heavy duty volume production, this Lee Precision Six Cavity Bullet Mold produces .429 diameter, 240 grain Semi Wad Cutter nose bullets suitable for .44Special, 44/40 WCF (Winchester Center Fire), .44 Remington Magnum and similar cartridges. 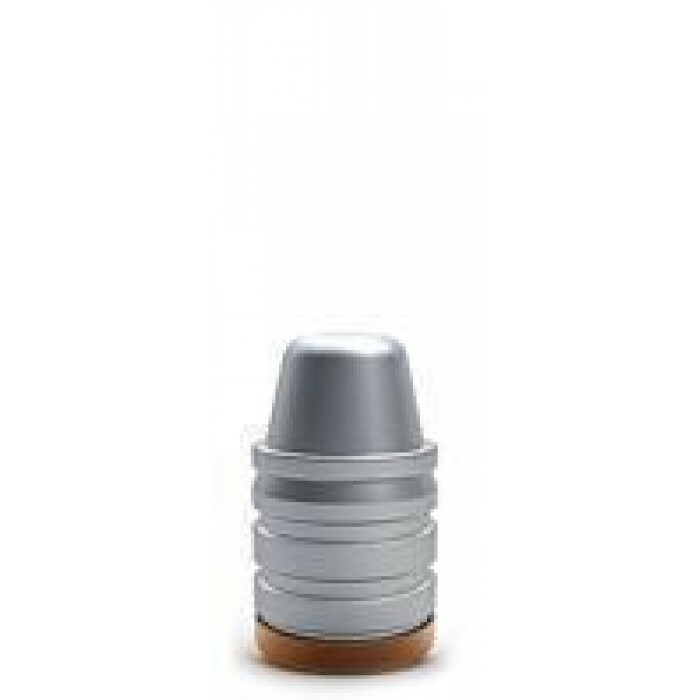 This mold, like all Lee Precision molds, is made from aluminum and so is completely rust resistant, lighter, and heats up and cools down faster than other brands made from iron or steel. As a result, this Lee mold is easier to use, causes less operator fatigue during casting and can produce more consistent bullets than other molds made from iron or steel. Lee's 6 cavity mold blocks are machined from aluminum and assembled with steel bushings and alignment pins for lasting precision. A sprue plate is included but Handles are sold separately. 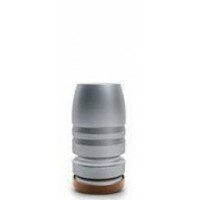 The bullet weight specified is based on using Lee's suggested alloy, your results may vary depending on the actual alloy used. Produces bullets that fit .44 Special, 44/40 WCF, .44 Remington Magnum and similar sized cartridges. 6 bullets are produced with each casting. Mold block halves are machined from aluminum. 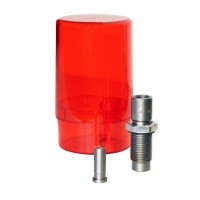 Assembled with steel bushings and alignment pins for lasting precision. 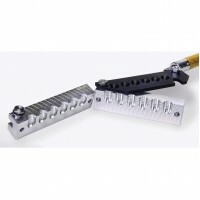 Cam operated sprue plate to eliminate the pounding common to ordinary molds. A tangential cutoff helps reduce the nip at cutoff. 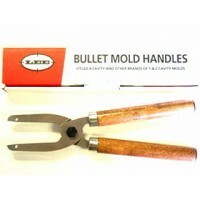 Made for heavy duty volume production, this Lee Precision Six Cavity Bullet Mold produces .452 diame.. 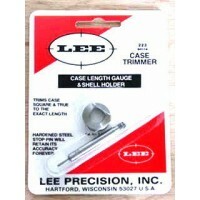 The Lee Precision .457 Lube & Sizing Kit is the fastest and easiest way to lubricate and size cast .. Double Cavity Quality MoldsMade for heavy duty volume production, this Lee Precision Double Cavity..
Made for heavy duty volume production, this Lee Precision Six Cavity Bullet Mold produces round with..
Made for heavy duty volume production, this Lee Precision Six Cavity Bullet Mold produces .401 diame.. 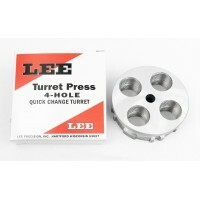 The Lee Precision .44-40 Winchester, .44 WCF (Winchester Center Fire), .44 Winchester Steel 3-Die s..